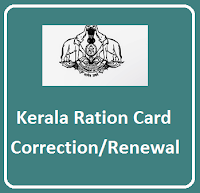 Kerala Government Started Ration Cards Renewals online, Kerala Citizens Who applied for Renewals of Ration cards online those people can update Ration card details online, If any Ration Card mistakes, Correct Ration card data at the time of Ration card renewals process. Really time is good opportunity for Kerala People who waiting for Ration card Correction those people can Correct Ration Card mistakes online.Kerala people just logon to Kerala food and civil supplies department official website http://www.civilsupplieskerala.gov.in/ . The Civil Supplies Department discharges the important responsibilities of Public Distribution enforcement of markets discipline and promotion of consumer awareness and protection of their interests. The Public Distribution System came into existence in the state with effect from 01/07/1965. The state which has very high deficit in the production of food grains, the PDS has great relevance and importance. Keeping in view the importance and need of promotion of consumer awareness and protection of human rights, Government have formed a separate wing in the food, Civil supplies and Consumer Affairs Department in the secretariat to attend the subject, Consumer Affairs. Similarly a Consumer Affairs Cell has been formed in the Commissionerate of Civil Supplies also. 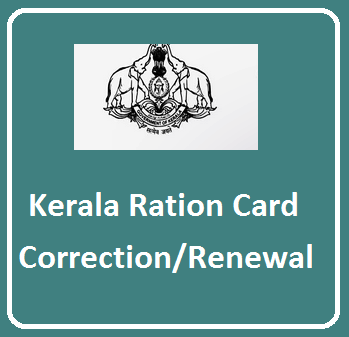 How to check Kerala Ration Card Details online ? 3. 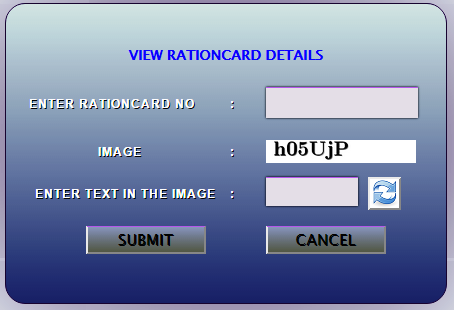 Now enter your "Ration Card Number"
4. Enter Catch Code in the below mentioned box. 5. Click on "Submit" Button. 6. Now Ration Card Details will be display on the webpage for Verification. How to Correct Ration Card Mistakes or Renewals online ? 5. For corrections, Ration Card Holder should be enter their Mobile Number on the third page. 7. Type the OTP in the Column provided. 9. Click on "Save" Option 10. Log out from the website after saving necessary data. The last date for online ration card correction is extended up to September 20,2015. So you are not late but better don’t keep it for the last moment.